"Whatever we think we know about the US foreign policy, Rogue State makes it clear that we don't know nearly enough," said Norman Solomon, author of The Habits of Highly Deceptive Media, while describing William Blum's famous book "Rogue State: A Guide to the World's Only Superpower" (2001). This book faces a very noticeable short-coming, i-e., it misses on the events following the September 11 for it was published in 2001. With the initiation of the "War on Terror" the criminal role of USA is becoming more highlighted. The incidents of invasions of Afghanistan and Iraq, the issues involving treatment of prisoners at Guantanamo Bay and Abu-Gharib, the attack of Israel on Lebanon, are unveiling new faces of the devilish character of U.S.A. in our time. Nevertheless, given this short-coming, Blum's work is a substantial reply to the a-historical argument that postulates that the post-9/11 world is different. Uncle Sam has been roaming around protecting this planet from "International Communist Conspiracy" and "Terrorism" under his self-assumed role as the "world's policeman" consistently for more than the last fifty years. While performing her "responsibilities", U.S. inflicted hunger, misery, death, and war on the innocent masses thought out the world. William Blum effectively demonstrates that imperialism is an epidemic, which if not curtailed and treated properly can result in destruction of the whole of mankind. I will strongly recommend the readers to read this book as soon as possible. U.N. has once again shown that it is only fit to serve the global interests of US Imperialism. It is nothing but a tool, a loyal servant, of imperialism and capitalism. UN posses no power to save any country from armed aggressions of imperialism, as we saw in Afghanistan, Iraq, and other countless cases. No country in the world can prudently regard U.N as a safeguard against any violent outrage of USA. UN was wordless and spineless when USA was threatening North Korea by deploying troops and nuclear arsenal in South Korea. Nevertheless, when North Korea, under extreme circumstances, had to strongly assert its rights to self-defense against imperialism, it immediately imposed "economic and weapons sanctions" on it. The DPRK's successful nuclear test is a great victory for the anti-imperialist revolutionary struggle of the masses of the world oppressed under the yoke of imperialism. DPRK's powerful declaration of freedom, independence, and self-defense is indigestible for the imperialist vultures and their lackeys. Let them whine, for they can never tolerate anything contrary to their class interests of imperialism and capitalism. The masses of the world will have to defeat imperialism to redeem itself from its claws. They will have to kick Uncle Sam and his band out of this planet in order to ensure peace and harmony. "In persuit of counterrevolution and in the name of freedom, U.S. forces or the U.S. supported sorrogate forces slaughtered 2,000,000 North Koreans in the three-year war; 3,000,000 Vietnamese; over 500,000 in aerial wars over Laos and Combodia; over 1,500,00 in Angola; oer 1,000,000 in Mozembique; over 500,000 in Afghanistan; 500,000 to 1,000,000 in Indonesia; 200,000 in East Timor; 100,000 in Nicragua (combining the Samoza and Reagan eras); over 100,000 in Guatemala (plus an additional 40,000 disappeared); over 700,000 in Iraq; over 60,000 in El Salvador; 30,000 in the "dirty war" of Argentina (though the government admits to only 9,000); 35,000 in Taiwan, when the Kuomintang military arrived from China; 20,000 in Chile; and many thousands in Haiti, Panama, Grenada, Brazil, South Africa, Western Sahara, Zaire, Turkey, and dozens of ohers countries, in what amounts to a free-market world holocaust." This post entails the text of my discussion against the counter-revolutionary ideology of Trotskyism. Is the inherent defeatism in the above theory not clear to you? Permanent revolution would say that if a revolution occurs in Pakistan, and doesn't spread to India, and other countries, it will be dead, revolution will fail. It must also be clear, according to law of uneven development of capitalism, that it is not objectively necessary that revolution in Pakistan will cause a simultaneous revolution in India. If the revolution didn't occur in Germany in the first quarter of the last century, inspite of a vibrant revolutionary workers' movement present there, what could Lenin have done? Should the leadership of USSR had announced that the Bolshevik revolution of 1917, the heroic struggle of workers and peasants of USSR, has failed and there is no point in building a better lifestyle? We, CMKP, reject defeatism. If workers and peasants can defeat the forces of capitalism and imperialism in their country, then very well, they can also build socialism in their country. Nevertheless, the final victory of socialism, that is the ultimate defeat of capitalism and imperialism all over the world, is possible only with the world revolution. However, that doesn't mean that revolution can't exist on one country. 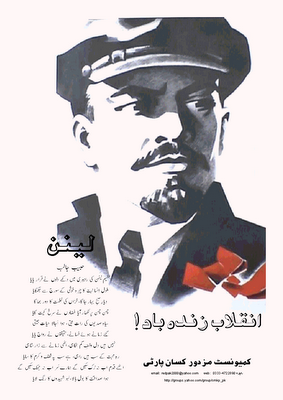 Lalbadhsha (trotskyite) wrote, "i want to suggest the upper leadership of CMKP please guide your comrades in better way and Not just idealists but also be a little more practical, Leave luxury rooms and come between people then tell whats going on and that time ur Stalian Theory will see how it effective ." Writing out it in bold will not make it correct. The leadership of CMKP has facilitated a detailed study of Marx, Engels, Lenin, Stalin, Mao, and other great Marxist-Leninist. Therefore, the members of CMKP have the ability to impart correct and accurate understanding of Marxism-Leninism to the working masses. Let me ask you a question? If the members of CMKP have never left their "luxury rooms", then how are they able to form an alliance with All Pakistan Trade Union Federation, the largest trade union front in Pakistan; Working Women's Organization, one of the very few women workers' front; Anjuman Mazareen Punjab, the militant landless peasant organization of Okara; and Bhutta Mazdoor Ittehad, the brick kiln labour front that has been fighting for their rights since 1967. In additing to this, those members of CMKP who are living in "luxury rooms" have been conducting study circles among industrial workers for years. Moreover, I must warn you that personal remarks don't suit a Marxist. If you want to launch personal slanders, then stop calling yourself a Marxist. "It is very clear for anyone who has even touched the economic works of Che Guevara that he took a very clear anti-Trotskyite position:"In Cuba there is nothing published, if one excludes the Soviet bricks, which bring inconvenience that they do not let you think, the party did it for you and you should digest it.It would be necessary to publish that complete works of Marx, Engels, Lenin, Stalin and other great Marxists.Here would come to the great revisionists (if you want you can add here Khurschez), well analyzed, more professionally than any other and also your friend Trotsky, who existed and apparently wrote something." The proletarian revoltionary movement didn't succeed in Germany after the World War One, depite of the vibrant struggle of workers led by remarkable figures like Karl Liebknecht and Rosa Luxemburg. October revolution was not followed by a revolution in Germany or over-throw of capitalists in any other Western European country. This, as we know, is history. Now, what could Lenin have done after the failure of German revolution, if at all, merely for the sake of arugment, socialism can not develop in one country? 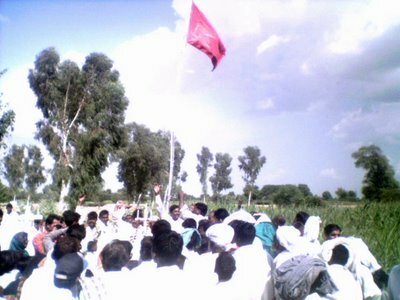 The Anjuman-e-Mazreen Punjab (Landless Tenants Union of Punjab- AMP) organized an event on the 4th death anniversary of one of their martyred comrades-- Suleman Petras. 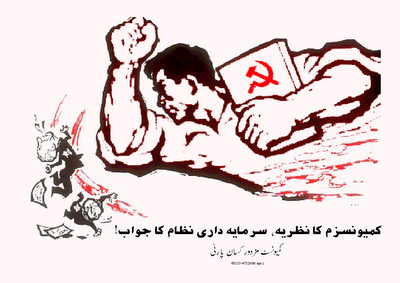 The Communist Workers and Pesants Party (CMKP) participated whole-heartedly and expressed solidarity with AMP. Please, read the detailed report of the event written by Taimur Rahman. 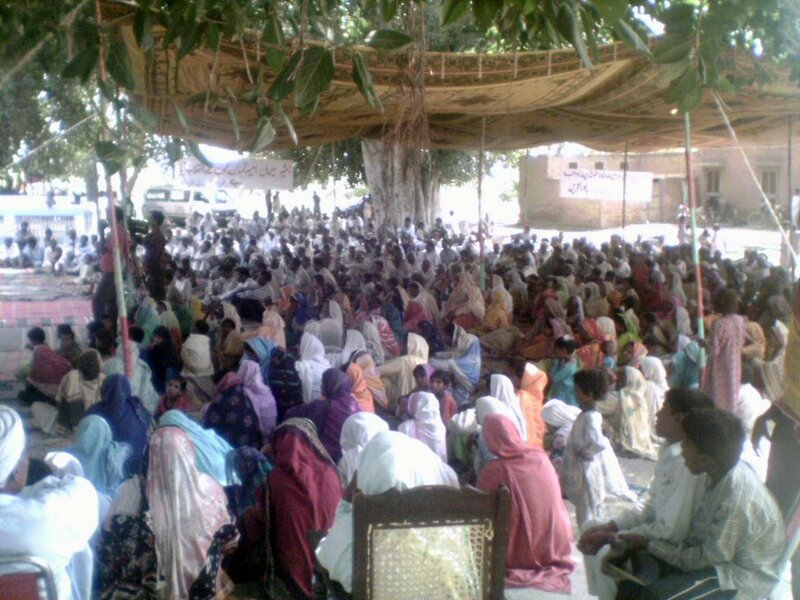 The participants of the event paying attention the speeches of their leaders. 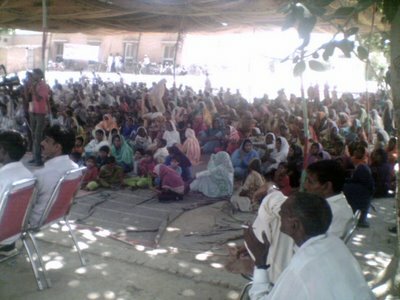 As can be seen the participation of women is higher than that of men. The flag of AMP masted at the grave of Suleman Petras. The tactics of deception and mis-representation to mislead the communist movement is the defining feature of Trotskyism. This method has been used over and over by a number of Trotskyites to propagate their bankrupt proposition of permanent revolution, which must be correctly categorized as 'permanent gloominess', to borrow the phrase from Comrade Stalin. During a discussion with a group of Trotskyites, a small passage from the Ted Grant's book "Russia, from Revolution to Counter-Revolution" was pointed out to show statements of Lenin in support of the concept of permanent revolution. While this passage, filled with misquotations and misrepresentations, might be able to satisfy the thirst of philistines, it is no better than an example of opportunist writings for a Marxist. He then concluded: "At all events, under all conceivable circumstances, if the German Revolution does not come, we are doomed." (LCW, Vol. 27, p. 98.)" Ted Grant has completely misrepresented the conclusion that Lenin drew. One can easily observe the flawed methodology of Ted Grant by reading the complete article from which the quotations are taken. Isn't it like saying that if the revolution in Germany doesn't occur then we are going to face some very hard times, yet if we try our best, socialism in one country can survive? This very obvious point has been deliberately ignored by Ted Grant. Many other philistines and opportunists, who are incapable to check from the original sources, who were finding it difficult to propagate their defunct ideas, are jubilated for the help that came from misrepresentations. Ted Grant, knowing that those who support him will never pay attention to what great Marxist intellectuals actually said, finds it convenient to quote randomly and inaccurately from the works of Lenin. The above quotation is taken from "Third All-Russia Congress Of Soviets Of Workers', Soldiers' And Peasants' Deputies", where it appears in a very different shape. Mr. Grant has combined different parts knowing that philistines will never bother to check the original sources. The second part of "quotation" is taken from somewhere else, tough from the same article. What does Ted Grant wants to suggest by using Lenin's quotations? According to Ted Grant, these quotations proved that "he [Lenin] thought that the October Revolution could not survive for any length of time." Perhaps, Ted Grant is firm that his work would be appreciated only by unscholarly opportunists, who have never bothered to read Lenin from the original sources. 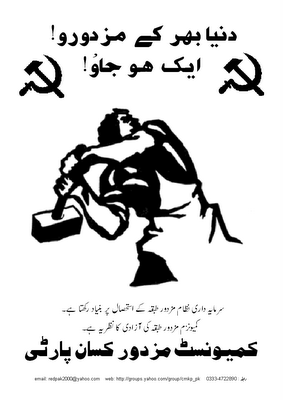 Communist Mazdoor Kissan Party (Communist Workers and Peasants Party- CMKP) Lahore has decided to launch a poster campaign. Posters will be placed in the workers' living quarters in the Industrial Area of Lahore. The Capitalist system is based on the exploitation of Workers. Communism is the thoery of emancipation of the Working class. Theory of Communism, a solution to the Capitalist system! 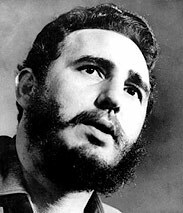 Many people have raised the argument that the provisional transfer of power from Fidel to his brother Raul in Cuba is a dictatorial move and similiar to transfer of power in a monrachy. This view is incorrect. Article 94 of The Constitution of the Republic of Cuba 1992 provides that "in cases of the absence, illness or death of the president of the Council of State, the first vice president assumes the president's duties." Who is the first vice president of the Council of State of Cuba? Happens to be Gen. Raul Castro Ruz (since 1976). Moreover, the first vice president of the Council of State is elected by National Assembly of People's Power, not appointed by the Presedent. According to the constitution of Cuba, Comrade Fidel Castro had no option but to transfer his powers the Comrade Raul Castro. Had Comrade Fidel Castro done otherwise, his action could have been termed as dictatorial. 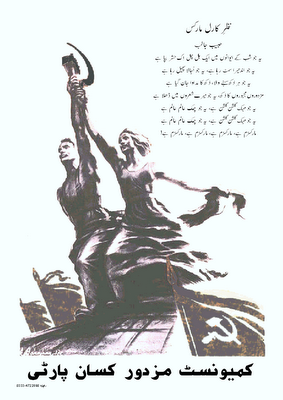 The question about the role of revolutionary intelligentsia in the communist movement of Pakistan is extremely important. The erroneous slogan of "only workers should lead workers" turned out to be extremely expensive for the progress of revolutionary struggle, and became a potent factor in the decline of the movement. This incorrect resolution was a product of the misguided understanding of Marxism-Leninism of the past leaders of the communist movement of Pakistan. "Finally, in times when the class struggle nears the decisive hour, the process of dissolution going on within the ruling class (in fact, within the whole range of old society) assumes such a violent, glaring character, that a small section of the ruling class adrift, and joins the revolutionary class, the class that holds the future in its hands. Just as, therefore, at an earlier period, a section of the nobility went over to the bourgeoisie, so now a portion of the bourgeoisie goes over to the proletariat, and in particular, a portion of the bourgeois ideologists, who have raised themselves to the level of comprehending theoretically the historical movement as a whole." With these words, Marx and Engels described the evolution of revolutionary intelligentsia from the ranks of bourgeoisie as a historical necessity. It is for this reason that even when the attitude of the communist movement was antagonistic towards intellectuals, the latter kept on springing up, and waged a protracted struggle to correct the line of the movement and bring it in conformity with Marxism-Leninism. "Finally, when the class struggle nears the decisive hour, the process of degeneration going on within the ruling class and the entire society becomes so glaring that a section of the ruling class joins the revolutionary workers. Therefore, just as at an earlier period, a section of the feudals went over to the capitalist class, now a portion of the capitalist class goes over to the workers. Especially a part of the intellectuals who have understood the laws of history and can see that the working class holds the future in its hands." " We have said that there could not have been Social-Democratic consciousness among the workers. It would have to be brought to them from without. The history of all countries shows that the working class, exclusively by its own effort, is able to develop only trade union consciousness, i.e., the conviction that it is necessary to combine in unions, fight the employers, and strive to compel the government to pass necessary labour legislation, etc. The theory of socialism, however, grew out of the philosophic, historical, and economic theories elaborated by educated representatives of the propertied classes, by intellectuals. By their social status the founders of modern scientific socialism, Marx and Engels, themselves belonged to the bourgeois intelligentsia." While expounding on the tenants of Marxism-Leninism, Comrade Mao Tse-Tung not only emphasized the role of revolutionary intelligentsia in the revolution, but also exposed the incorrect stance of those who undermined the importance of intelligentsia. Therefore, the slogan of "only workers should lead workers", which discriminates against the revolutionary intelligentsia, is in contradiction with the scientific theory of Marxism-Leninism. Countless revolutionaries, including the most brilliant minds-- such as Marx, Engels, Lenin, and Chou En Lai-- emerged from the ranks of bourgeoisie and played an extremely instrumental part in the progress of the revolutionary struggle. (excerpts from www.cmkp.tk "Marxism for Beginners"). ... The revolutionary intelligentsia plays a very important role in bringing a scientific understanding of the dynamics of history and class struggle to the entire working class. The fact is that the deeper the depth of knowledge of the revolutionary intelligentsia, the greater their loyalty to the working class. That is why the greatest leaders of the workers of the world have been the greatest intellectual minds of the last two centuries. For example, Marx, Engels, and Lenin were all from privileged backgrounds, but their vast knowledge about the capitalist system forms the basis of the principles of class struggle of all the workers of the world today. Thus, on the one hand, workers must learn to distinguish genuine revolutionary intellectuals from impostors, and on the other hand, safeguard and learn from genuine revolutionary intellectuals. But it is not necessary that revolutionary intellectuals come exclusively from privileged backgrounds. Workers who have been hardened by many years of class struggle posses an extraordinary instinct and natural understanding of the dynamics of society. Battle hardened workers are an invaluable asset of the working class movement. Thus, the leadership of the working class (the vanguard) should be composed of the most knowledgeable and revolutionary elements recruited from the revolutionary intelligentsia and battle hardened workers.